The Grand Prix is chosen by the judges from all the shortlisted entries as the one that impressed them the most. 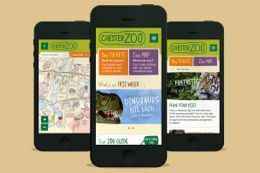 It’s always incredibly tough to pick the Grand Prix winner, but in the end Code’s work for Chester Zoo stood out for its depth of understanding of the changing role of mobile in people’s lives. That understanding then improved both the customer experience and the efficiency of the business. As one judge said “this is a great example of how all businesses will have to integrate mobile in the future”. This year's Grand Prix winner emerged as the judging day wore on, picking up plaudits from the judges for the beauty of its visuals, the simplicity and depth of its game play and the praise heaped on it by gamers. It's a very accomplished piece of design that united the judges to declare it Big Chip Grand Prix winner 2013. The Co-operative was making new, industry-leading CSR commitments and wanted to engage and involve the public. The ‘Join the Revolution' launch used real-life case studies of individuals ‘changing their worlds'. At the heart of the multi-channel campaign was a search-optimised, social-integrated website. The site had deeper, sharable content in case studies, detail on The Co-operative's wider commitments, plus many ways to ‘get involved', including a competition with £5000 prizes. Over 300 entrants entered their ‘Revolutions' and asked supporters to vote and use their social networks to spread the word, attracting 60,000 public votes, and even a tweet from Stephen Fry! The Grand Prix this year goes to a project that showed both innovation and a deep understanding of the needs of the client and the end-users. It matched platform to opportunity brilliantly, and in doing so unlocked millions of pounds in additional revenue for the client. 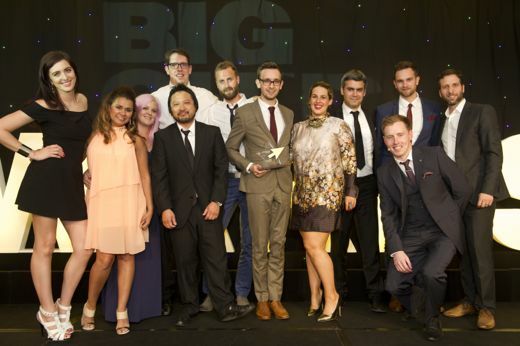 The winner of this category delivered an ambitious and polished product to a difficult brief, going way beyond the expectations of the clients, stakeholders and the broader audience. The ‘MP for a Week' game places the player firmly in the shoes of an MP, experiencing first-hand the personal and professional dilemmas of a week in politics, taking responsibility for their decisions, and then seeing the implications on their careers. The drama is presented in an ever-changing environment, offering a diverse blend of strategy and experimentation, together with a high level of personalisation. A positive overall rating is the ultimate purpose of the game, just like the real thing. The game presents a uniquely credible and intriguing view of the political process. This year's winner is a business that started life in a North West business incubator, was financed by a North West investment fund and has developed digital technology to both complement and challenge one of the biggest digital players in the world. Its projected world-wide sales orders since Jan this year are on target for 1m units.